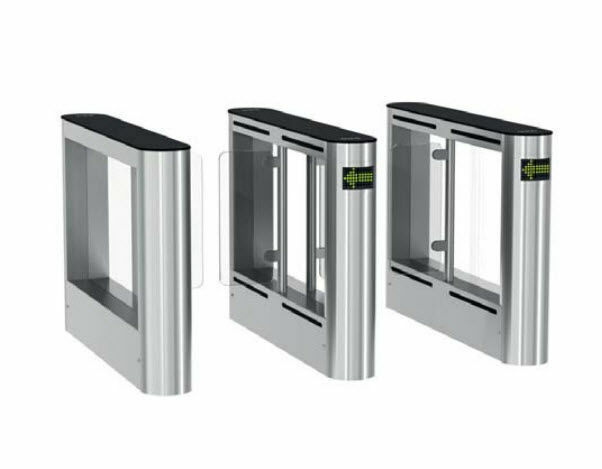 EasyGate SPD-G: A complete entry control solution s of public transport environments. Capable of accomm ound in the most demanding of market segments with a high aesthetic ergonomic design and proven highlevel security performance. Advanced infrared optical sensor arrays coupled to a state of the art software detection algorithm and a unique drive system provide a superior level of reliability that effectively lowers the cost of ownership. 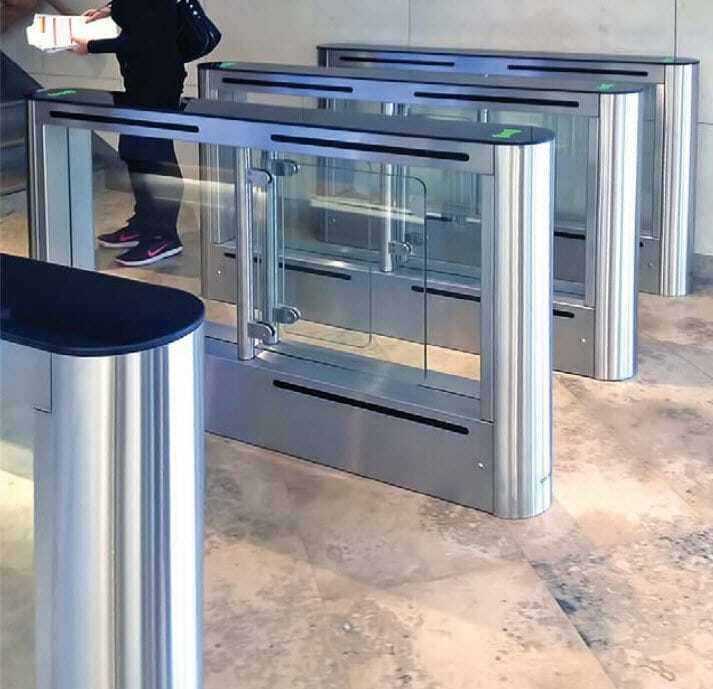 Safety and security are uncompromised; deliberate fraudulent entry attempts such as tailgating, climb-over or under are easily detected triggering the gates local as well as remote alarm outputs to alert staff while safely deterring the unauthorized entry. Our unique new patented magnetic direct drive system is manufactured in-house utilizing far fewer moving parts than conventional drives systems. EasyGate SPD-G was specifically designed to withstand considerable abuse found in high throughput public environments that typically wreak havoc on conventional motor/gearbox drive systems. 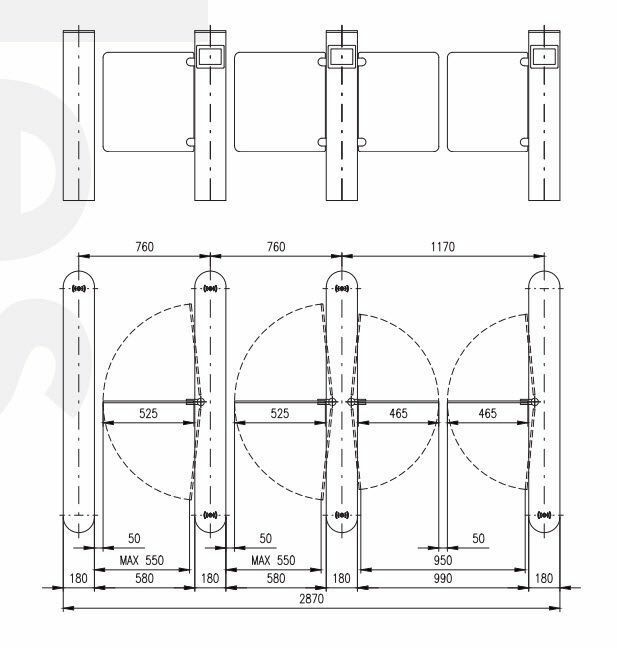 The pleasing open cabinet design not only looks good but is solid & fully tested as well as „ real world“ qualified for operation in harsh temperature and humidity environments. 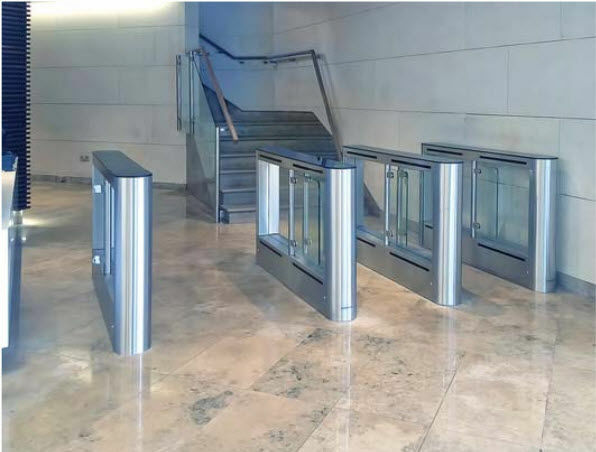 We also offer a choice of square or rounded fronts and various finish options that can suit any corporate lobby application that may require a robust reliable solution only found in this market segment.